The thing of this standard (glass shape) was saved because it is difficult to obtain at home centers etc. Of course, the function is also a problem pear. This review is about item#266315. Those who are studying the use of the color cap in the light bulb in the meter say that it is the light bulb below 5 W, we recommend this light bulb if the size increases. By saying that it is for two wheels, if there is strong vibration, it is my expectation for the item that I am saying, I am picking this. This review is about item#266297. I could install without problems. 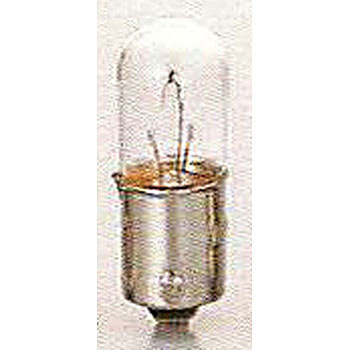 This type of light bulb is very saved, as it is hard to sell even at a motorcycle store. It was easy to find it because it was hard to find, but it was saved. I hope it will be easier to search for items on the site a little more! . This review is about item#266306. It was able to be used without problems. It was extremely useful for maintaining old-style vehicles of age and it was saved. There is no handled stock at a real store (two wheel accessory store etc.). Online mail order is saved. This review is about item#35506737. I used it in Triumph's motorbike. Performance is perfect. If it is this price, it may be good to buy it to a certain extent collectively. This review is about item#35506746. It was a poor winker valve attached to the fender of the old Chrysler Voyager, where it was about a few hundred yen for a dealer. There is no problem as it is made by a leading manufacturer (H & M Matsushima). I am saved to buy it cheaply.